Can Facebook ‘likes’ save the Palace Theatre? Published on February 24, 2016. 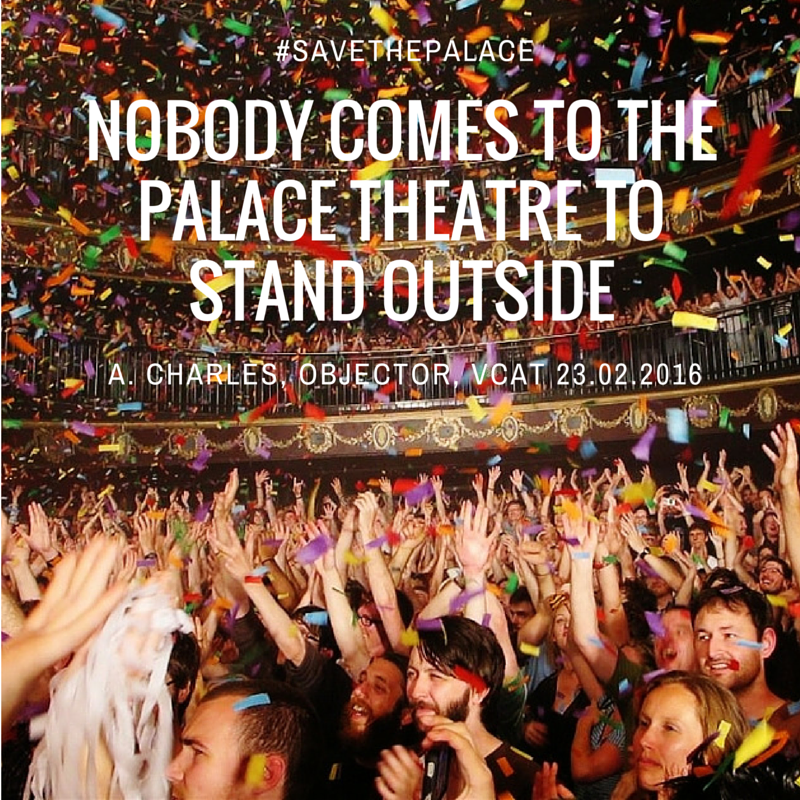 The National Trust, MHA and Save the Palace called Dr Anthony McCoskar, senior lecturer in media and communications at Swinburne University, to give evidence about his analysis of the social media activity generated by the Save the Palace Theatre – Metro Nightclub facebook page.